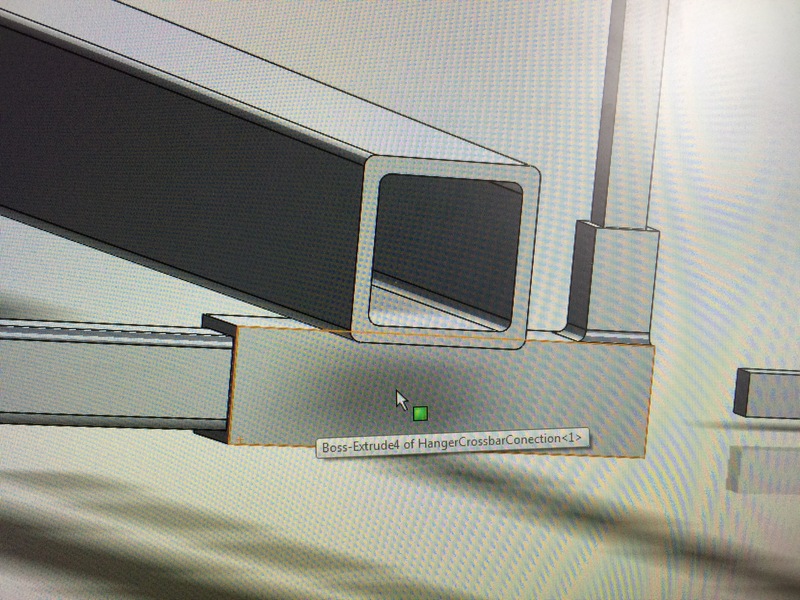 This past week we have really made progress with the Solidworks model. All of the members are made but we’ll need to make just a few changes like adding holes for the bolts.The last big thing we need to figure out is the connection designs for the chord and leg pieces (pictured above). We have a general idea of how they should look but we are working out the fine details and dimensions of what we will finally decide on. Hopefully this Wednesday we can finish those and start the final assembly. More updates to come.